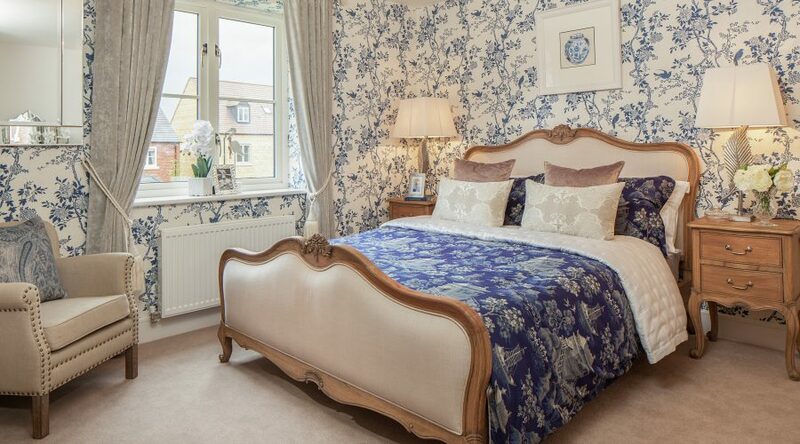 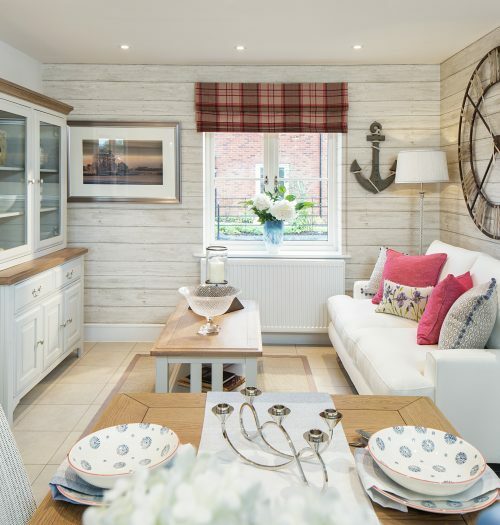 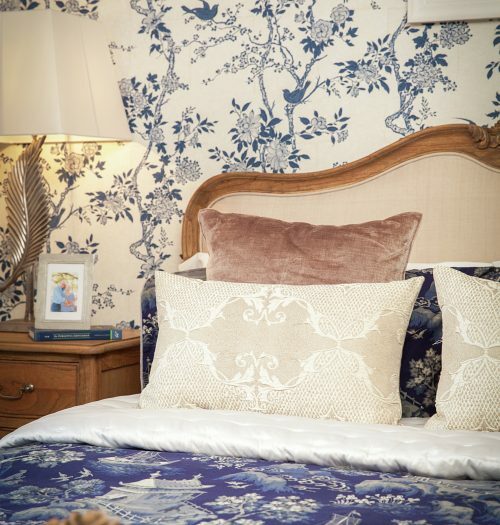 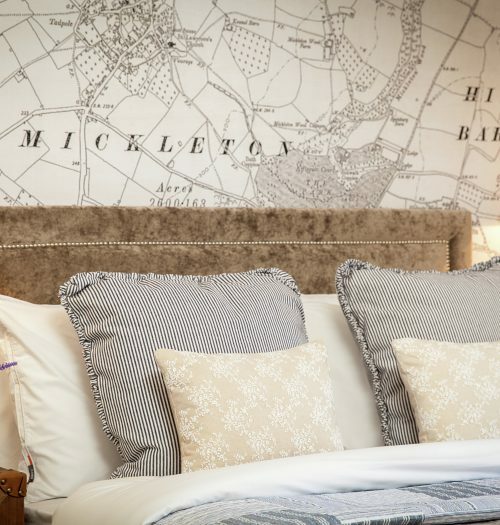 What do you do when tasked with designing country home interiors in the beautiful Cotswolds? 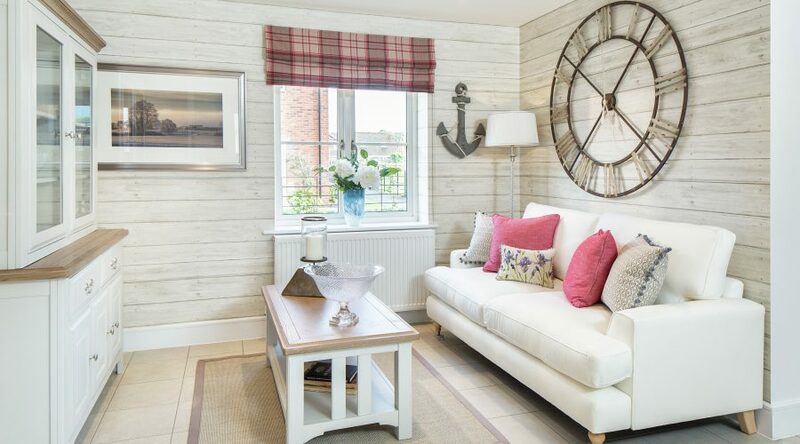 Create a home with playful elegance, using country fabrics and timeless pieces. 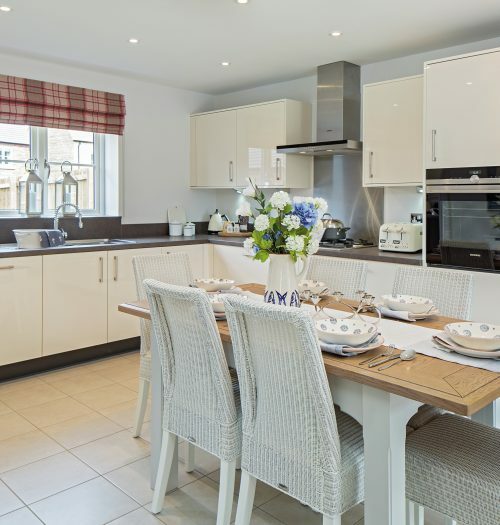 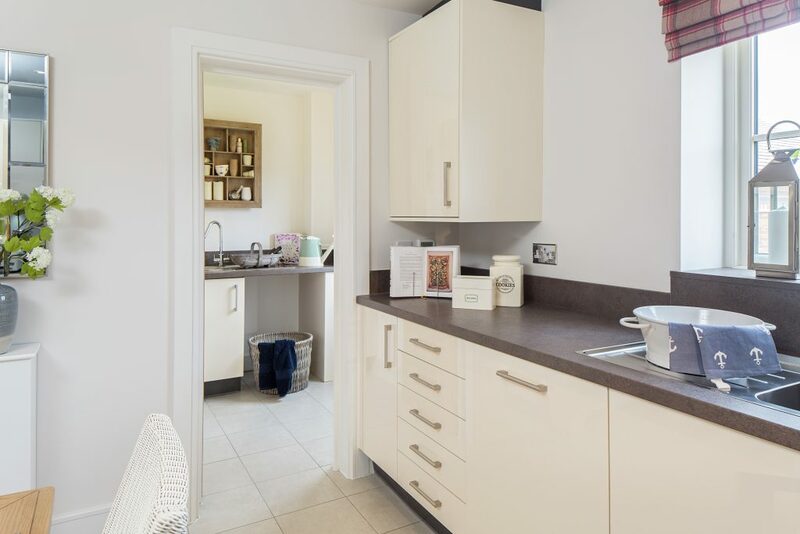 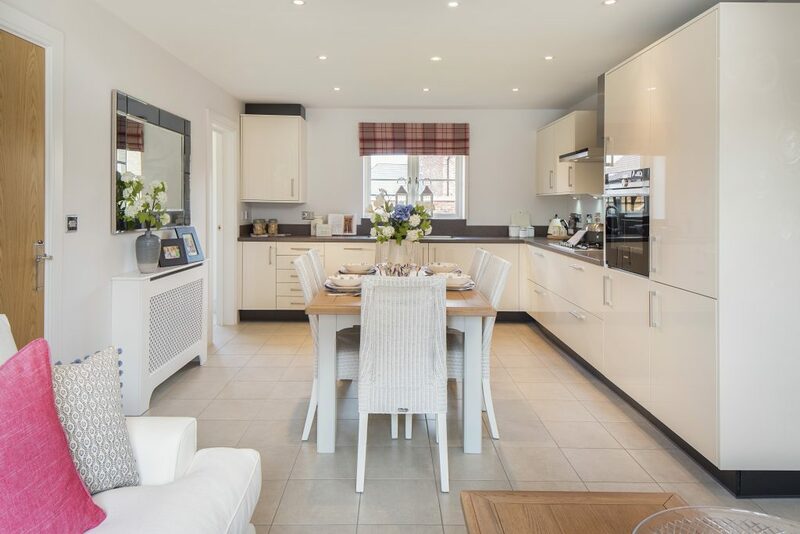 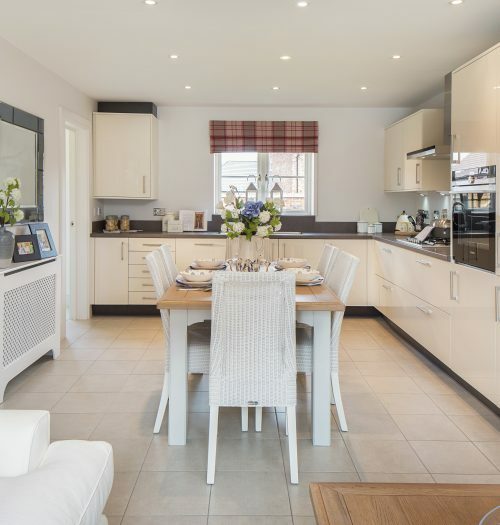 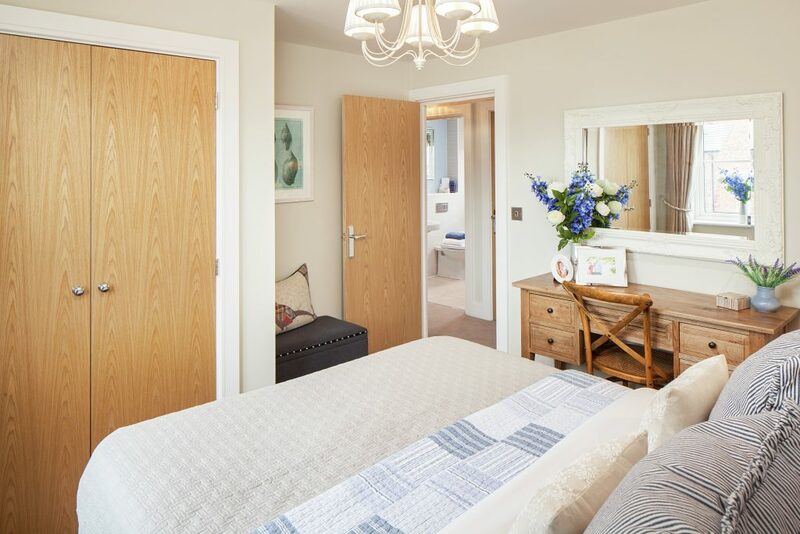 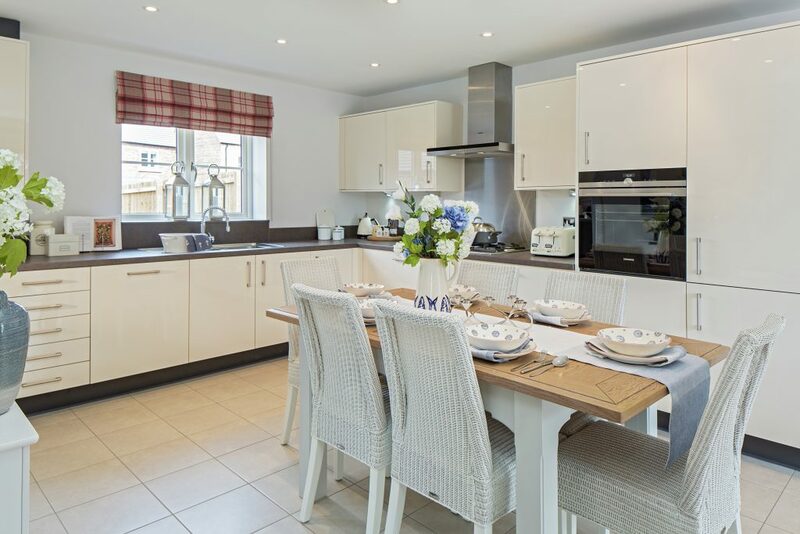 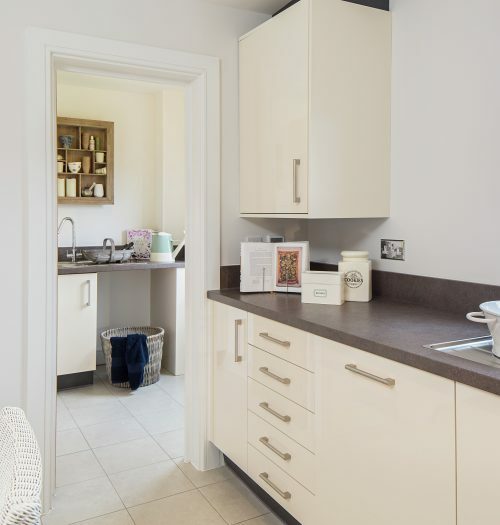 The upmarket location and high quality build finish certainly defined the benchmark for the interiors at Shepherd’s Fold. 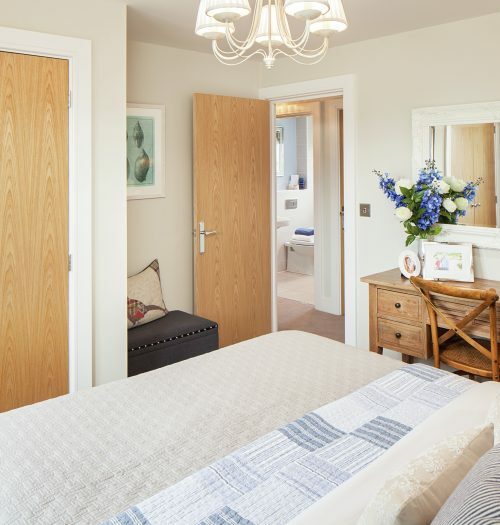 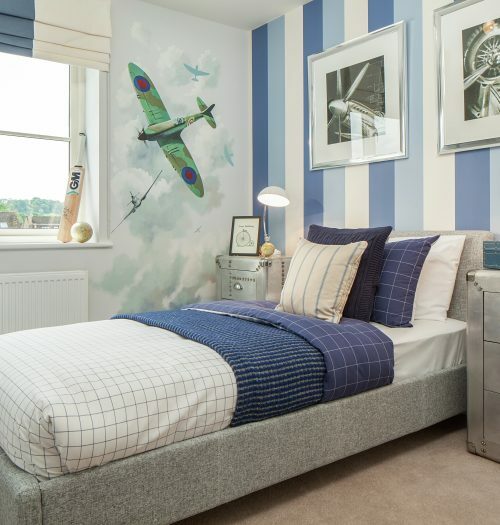 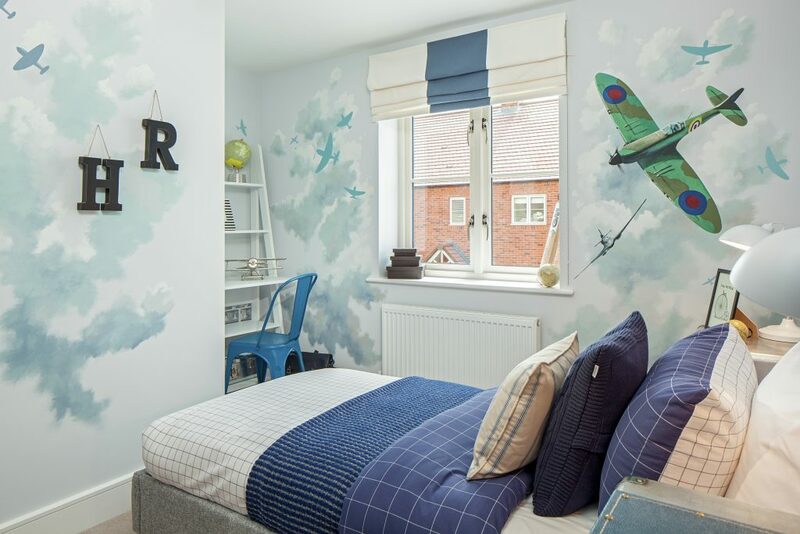 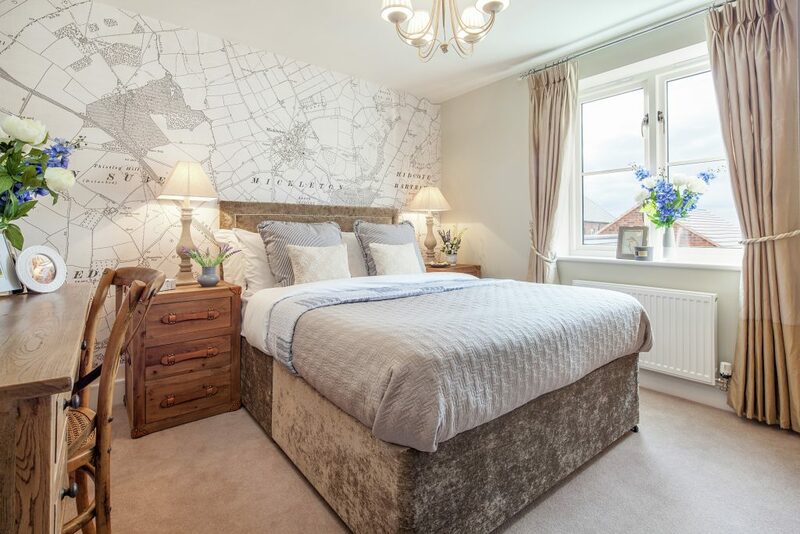 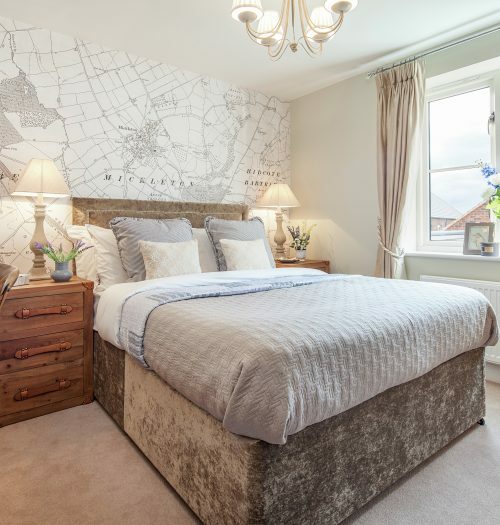 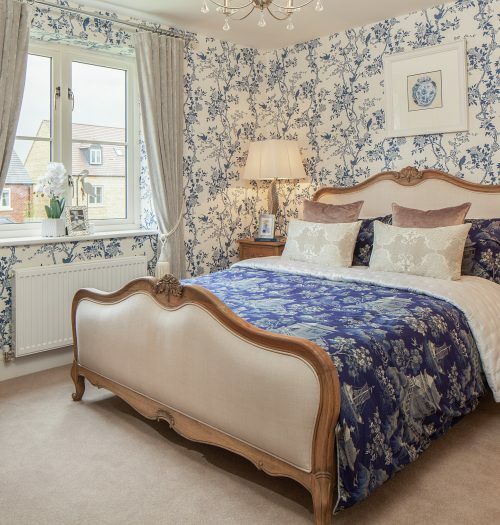 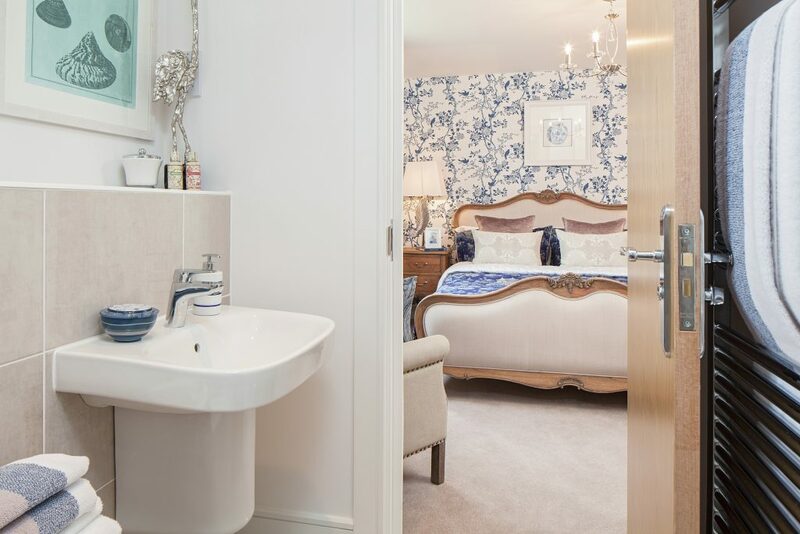 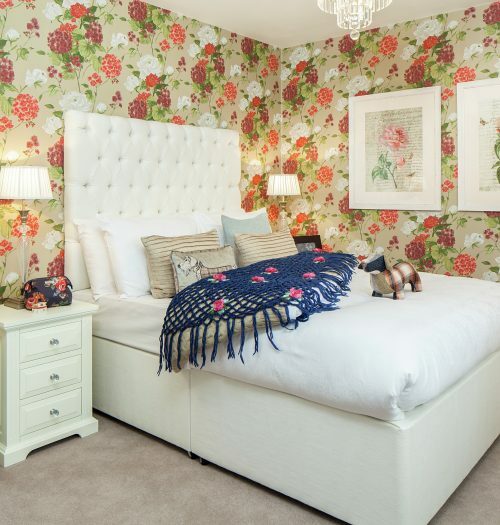 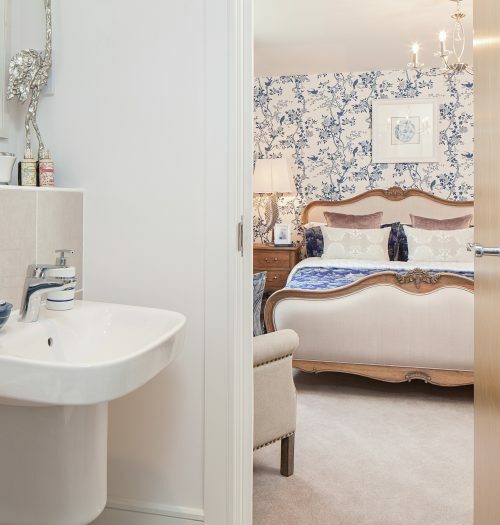 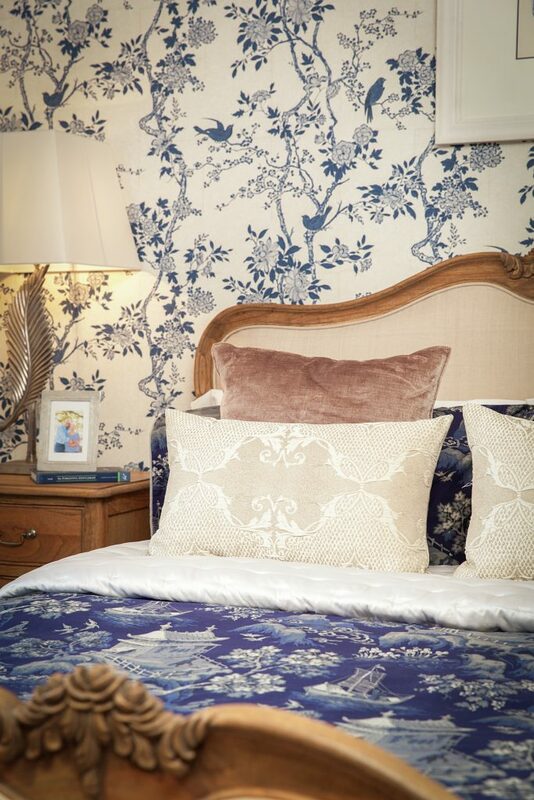 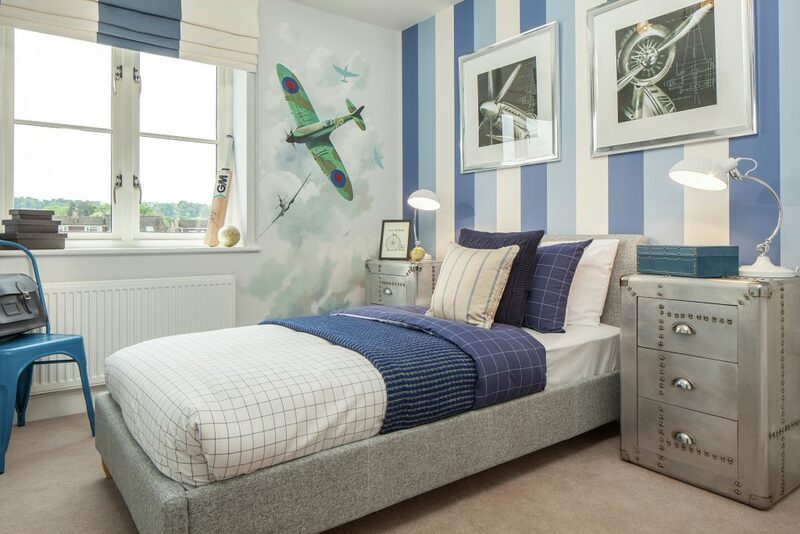 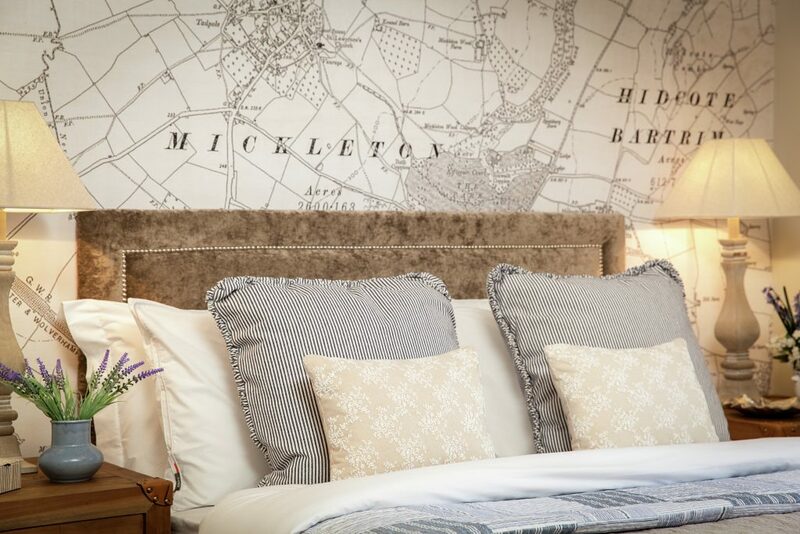 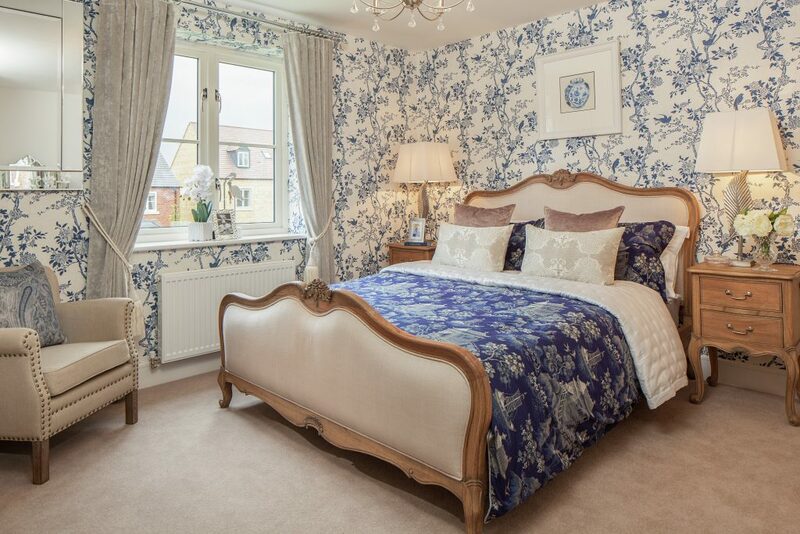 With plenty of space to play with, our designers had the opportunity to use bold looks; creating an opulent master bedroom, a striking girl’s room and playful boy’s room adorned with bespoke hand painted murals of spitfires – a nod to the local aviation links. 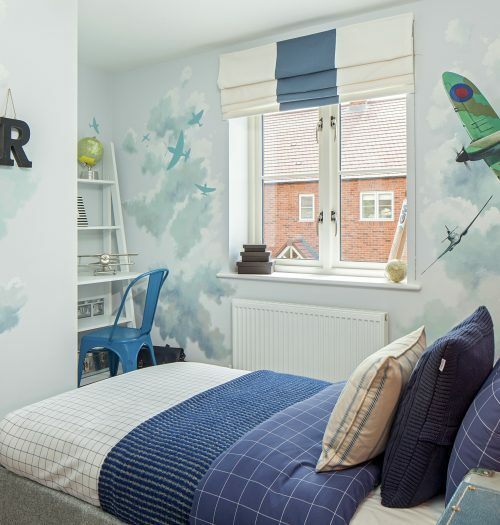 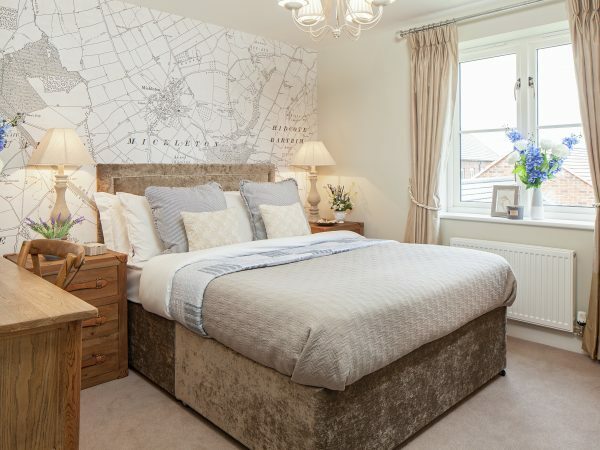 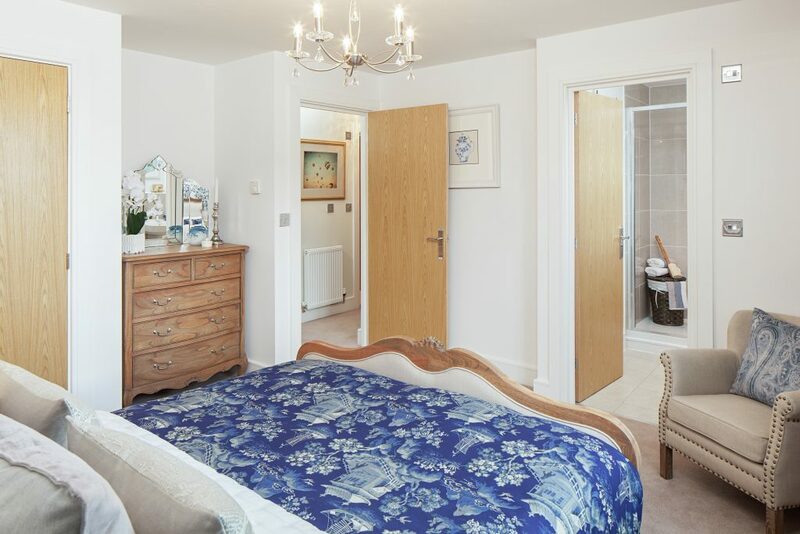 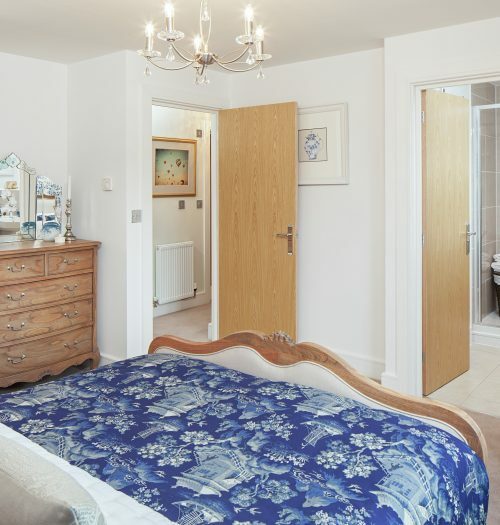 This wasn’t the only room where we took inspiration from the development’s location; the guest room boasts an ordnance survey map feature wall, quietly shouting about the aspirational coordinates. 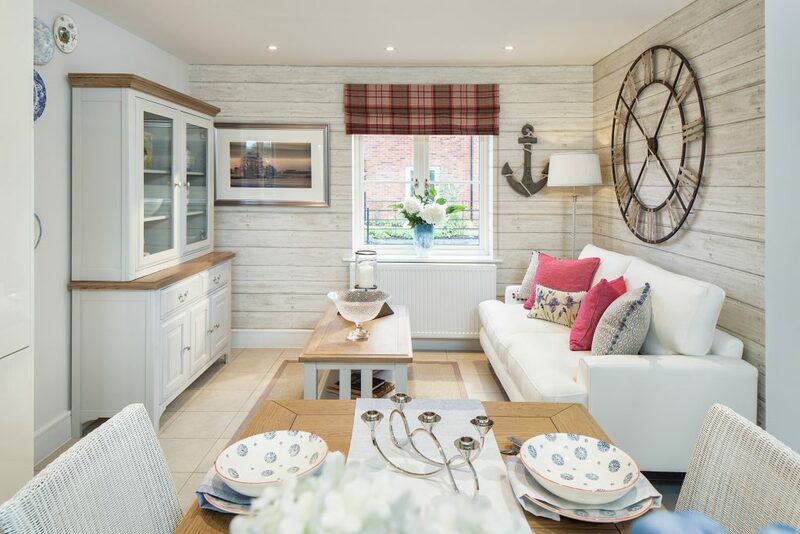 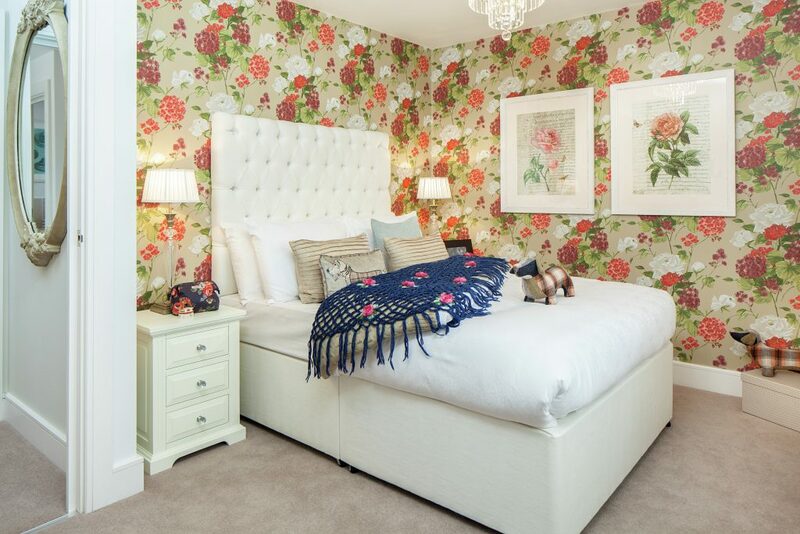 Designed to showcase how people will actually live, this show home is as believable as it is delightful; where luxury meets real life.